This, my dear friends, is my latest discovery and the answer to the question posed a couple of posts back - the Eastern Food Bazaar (map). A colleague recommended the place, so on this particular day, while in the area, I decided pay them a visit. The concept is that you browse the half-a-dozen stalls, inspecting each for what your tummy desire. Once you've memorised your list you pay for the meal at one of two pay points (at the same time specifying if you'd like the food in a take-away container) and then receive in return a printed slip that lists what you've purchased. This slip you present at each of the stalls in exchange for the food you've purchased. Three things about the visit impressed me. 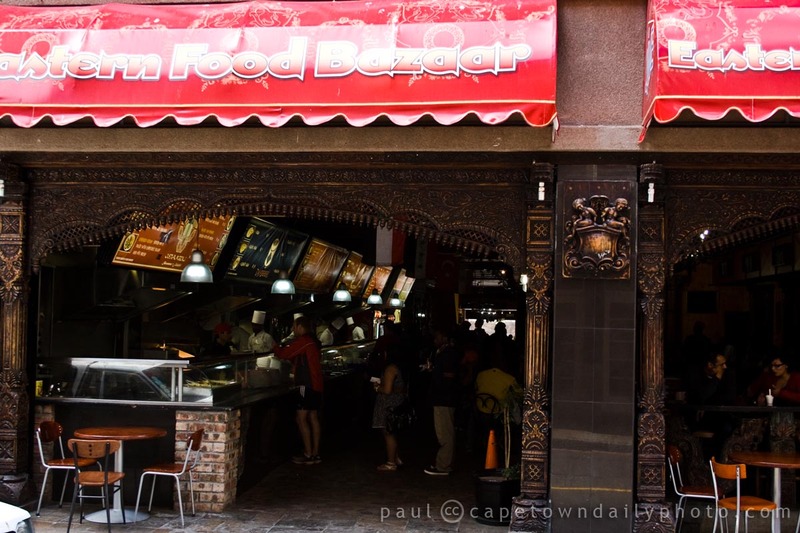 The first thing was how clean each food stall was; the second was how friendly everyone working there was; and the last was how large the portions were - given that most curries were priced between R25 and R30, with the most expensive being R35 (excluding rice and naan)! Posted in General and tagged halaal, restaurant on Monday, 6 September, 2010 by Paul.